The sun is shining here in Virginia. Trees are blossoming and the very first daffodils are sprouting up sunny yellow. 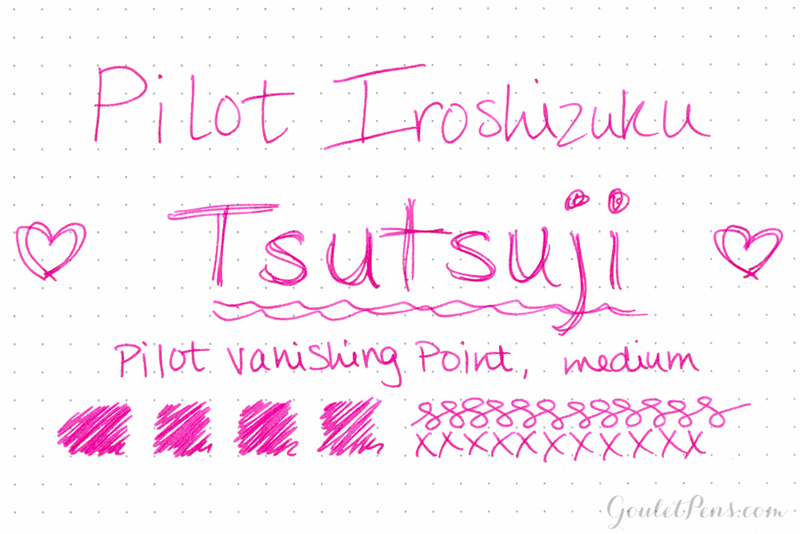 It’s Spring, and what better way to celebrate the season than a new pen? 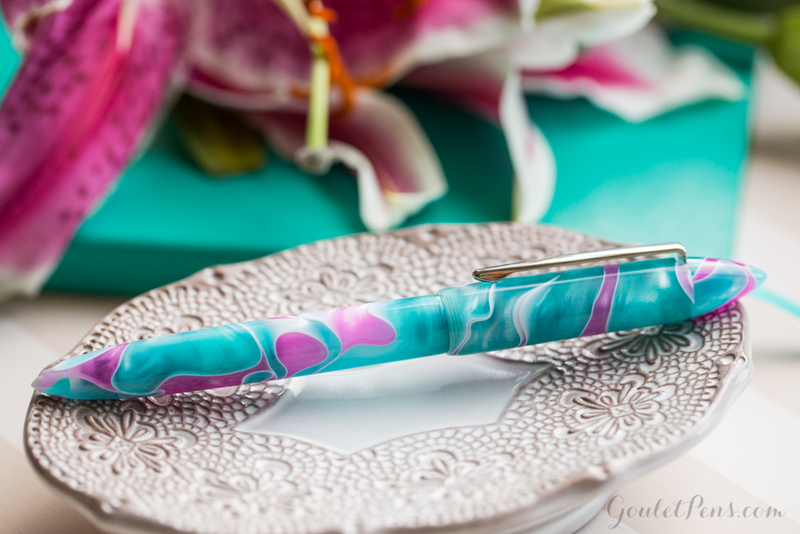 We’re happy to announce the newest Edison Nouveau Premiere, Water Lily! 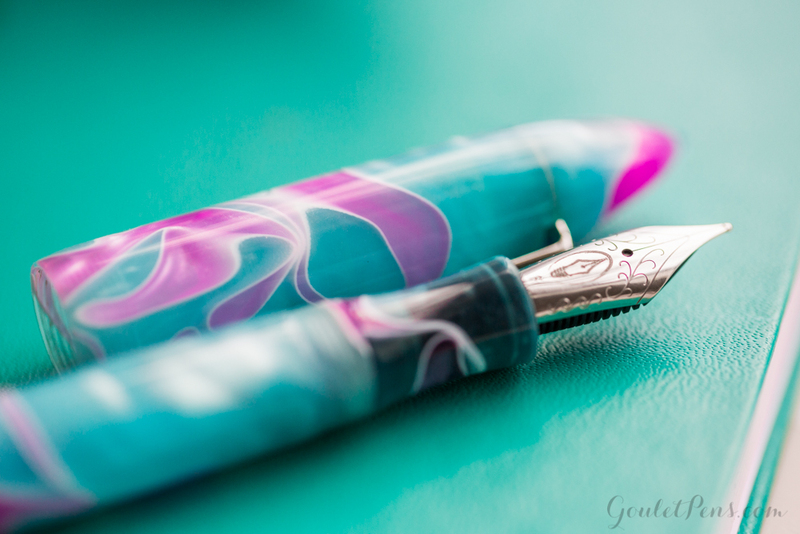 Swirls of aqua and magenta create a serene and hypnotic combination while the smooth Edison nib will have you floating across the page. 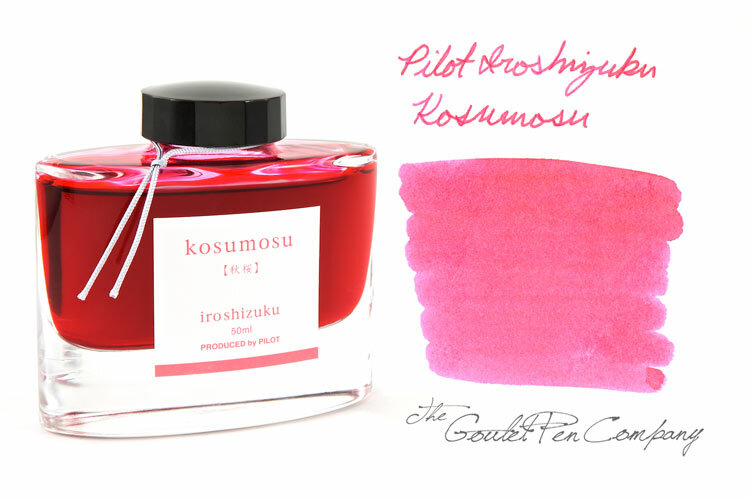 Let your writing bloom along with the season by adding this pen to your collection! This is the 10th Seasonal Edition of our Edison Nouveau Premiere collection. We’ve had some memorable Spring editions (who could forget the Lilac or Cherry Blossom? ), but this one is a particular favorite. While this acrylic color combination has been done before in different body types, this is the first Nouveau Premiere of this kind. 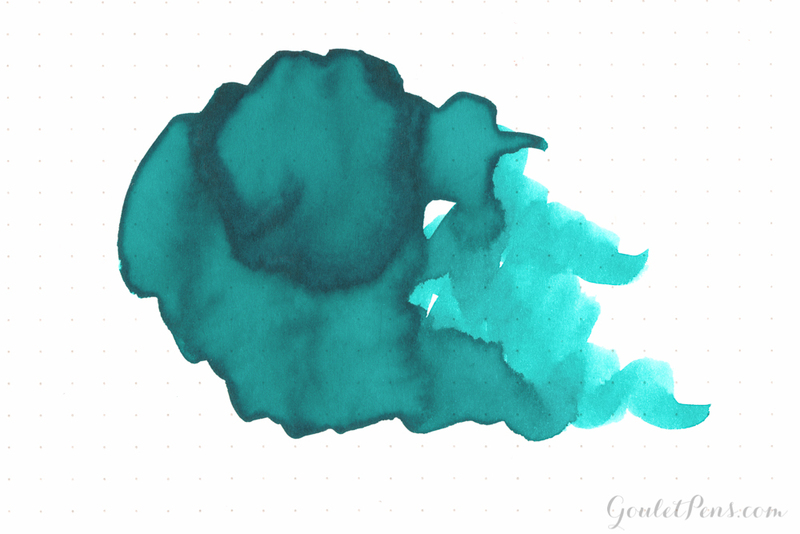 Affectionately called the “unicorn barf pen” by the fountain pen community, this pen will only be available for about 3 months, or until supplies run out. 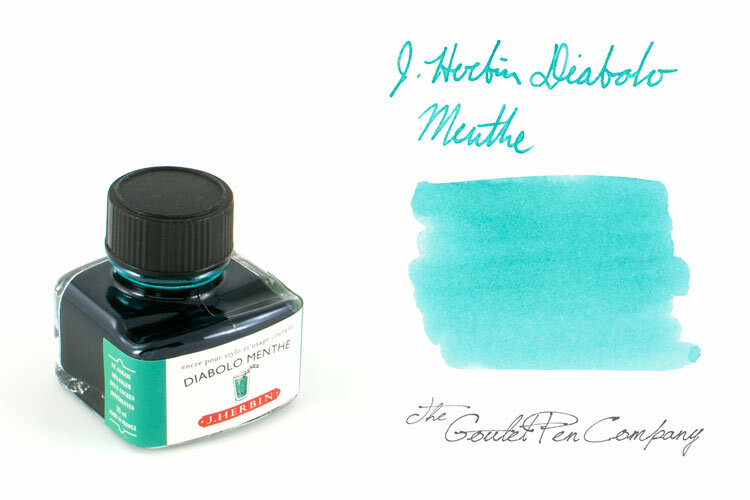 This fountain pen comes in a gorgeous box with a standard international converter. The slightly translucent cast resin material shows the ink level (especially in eyedropper mode). 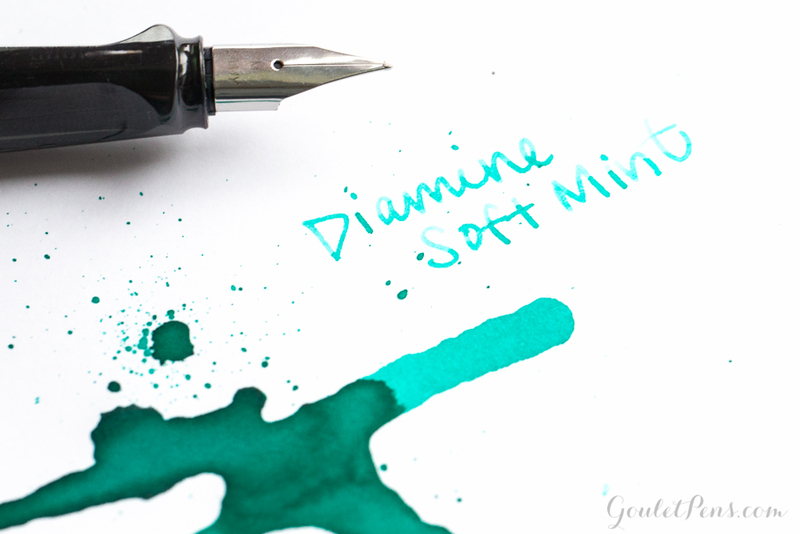 It will be darker at the grip section because of the nib housing unit and the translucent material, and you might see ink in the grip, too, so don’t be alarmed. The nibs are available with EF, F, M, B, 1.1mm, and 1.5mm stainless steel polished Edison nibs made by Jowo in Germany that are smooth with a hint of feedback. 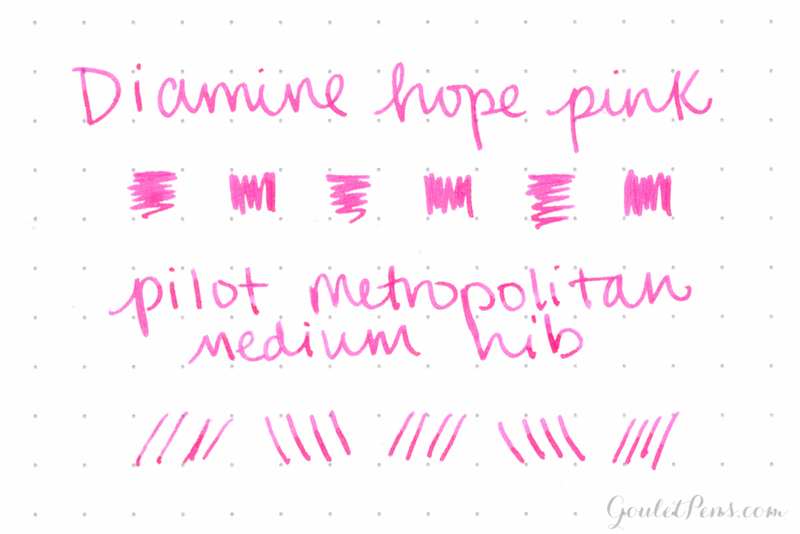 The nibs are interchangeable and additional ones are sold individually for $25. You can also upgrade to an 18k nib for an additional $125. 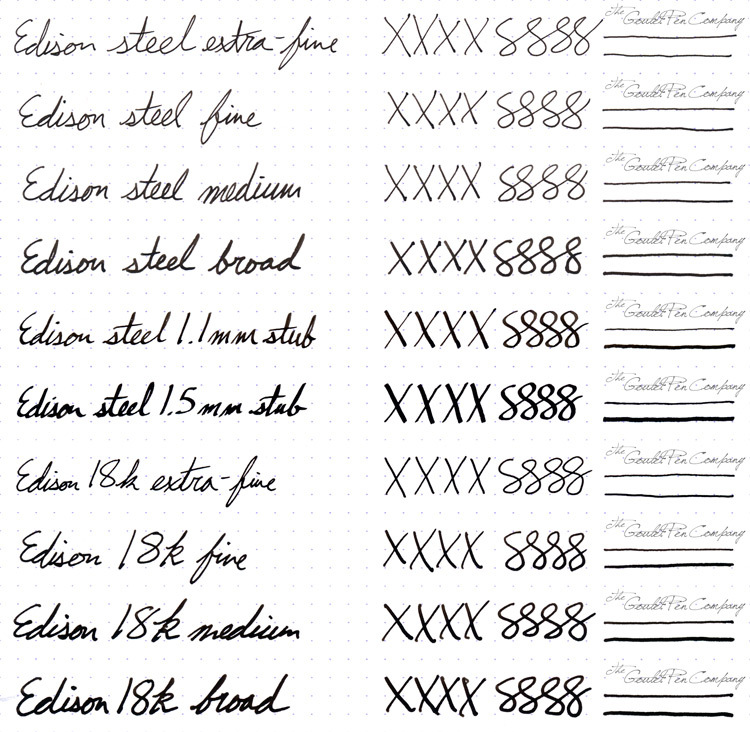 Here is a video on Changing Edison Nibs, to help you swap them out. Looking for some matching ink? These colors were hand selected by Brian and Rachel Goulet! 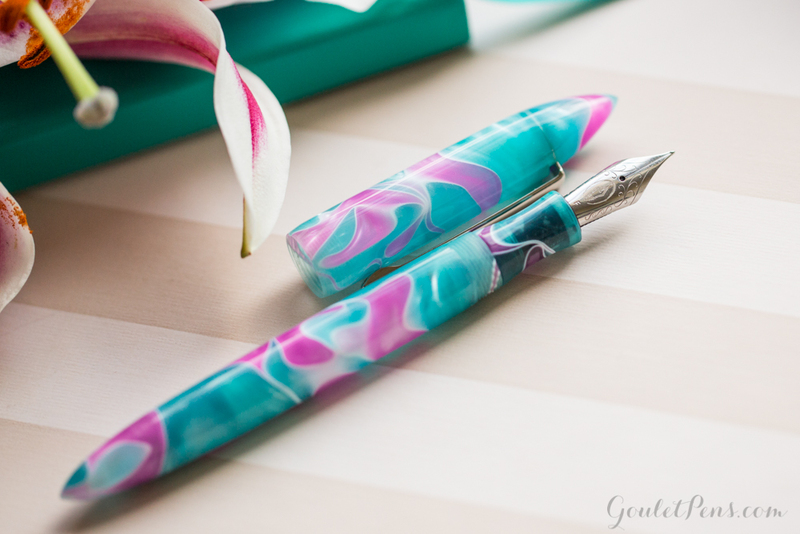 The Spring 2016 Edison Nouveau Premiere Water Lily Special Edition is now available at Gouletpens.com for $149. You can find more details and all of the technical specs on our website. What do you think of the Water Lily? Is it a must-have for you?